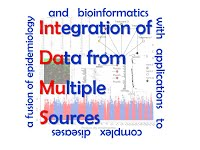 On 8-12 September 2018 the Hellenic Society for Computational Biology and Bioinformatics will organise the seventeenth edition of the European Conference on Computational Biology in association with the ELIXIR. The ECCB 2018 will take place in the historic city of Athens in Greece. It is the main computational event in Europe and will welcome scientists working in a variety of disciplines, including bioinformatics, computational biology, biology, medicine, and systems biology. Participating in ECCB 2018 will be the perfect opportunity to keep pace with cutting edge research, and to network with members of ECCB community.